Here’s a YouTube half-hour vid taking you the whole way up and over the top of the Transfagarasan Highway, the highest road in Romania and one of the highest in Europe. Great driving – but much better in person, in the flesh (in the metal). Come and try for yourself, then come back to Magura in time for supper. 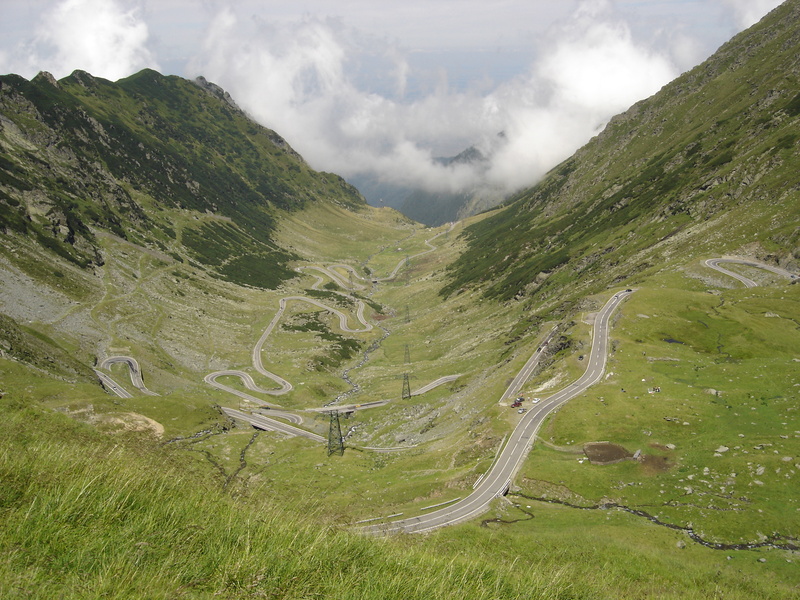 This entry was posted in Uncategorized and tagged best road in the world, Carpathian Mountains, driving, Lake Vidraru, Magura, Romania, Southern Carpathians, Top Gear, Transfagarasan Highway, Transfăgărășan, Transylvania, YouTube by Arabella McIntyre-Brown. Bookmark the permalink. Pingback: Weekly Photo Challenge: Changing Seasons | Gabriela S.
uau, Abbs, this is the best pic i ever saw of the Transfag, nice! Wish it were mine! (A Zemanta offering). Thanks, Mike.